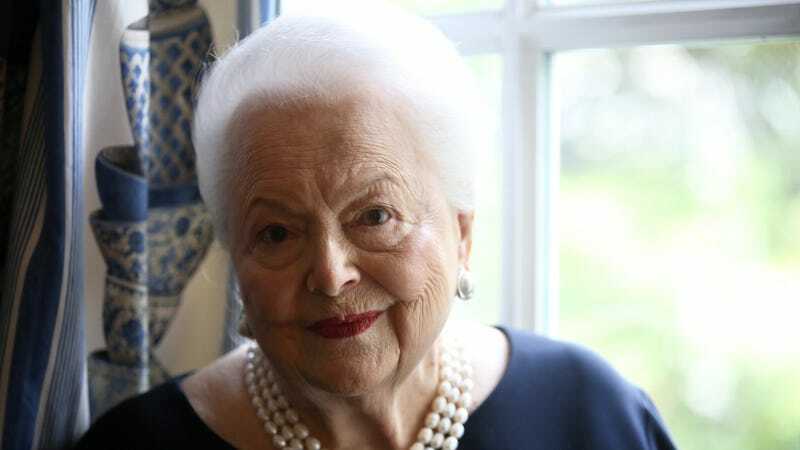 A California appeals court dealt a blow to 101-year-old actor Olivia de Havilland on Monday, ruling that her lawsuit against Ryan Murphy and his TV series, Feud: Bette and Joan, should be tossed. Less than a week after hearing oral arguments on the matter, the 2nd Appellate District reversed Kendig’s order on the motion to strike, and directed the trial court to grant the motion and award defendants their attorney fees and costs. Had the lawsuit proceeded in de Havilland’s favor, it would have similarly impacted all works that portray real people, the opinion read. Anyway, de Havilland appears in only 17 minutes of the entire six-and-a-half-hour series. The show’s main focus examines the prolonged dispute between Bette Davis and Joan Crawford, both of whom had the good sense to die before they could spend their final time on Earth worried about an FX docudrama.